G. Archer Frierson, III joined Vintage Realty Company as a licensed commercial real estate agent in 2004. In 2017, he was named as the Director of Brokerage and Leasing for Vintage’s 17 agents and administrative staff. 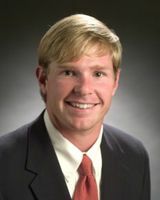 Prior to Vintage, Archer was affiliated with Coldwell Banker Commercial in Savannah, Georgia where he was a licensed agent and real estate appraiser. Over the course of his 15 plus year career Archer has been active in all facets of the commercial real estate industry and has represented numerous local, regional and national companies. He has also been involved in the disposition of various investment properties including office buildings, shopping centers, warehouses, self-storage facilities, and apartment complexes. Archer is an active leader in the Shreveport/Bossier community. He was a 2005 graduate of the Leadership Shreveport program through the Greater Shreveport Chamber of Commerce, as well as a 2006 Community Catalyst for the Community Foundation of Shreveport/Bossier City. In 2007, Archer was named to Northwest Louisiana’s Top 40 under 40 by the Greater Shreveport Chamber of Commerce. He is a 2012 graduate of the Leadership Louisiana program developed by the Council for a Better Louisiana for rising business and civic leaders throughout the state. He is a graduate of Louisiana State University with a B.S. in Business Administration and holds an MBA from Centenary College. He is also a Certified Commercial Investment Member (CCIM), a member of the Commercial Investment Division of the Northwest Louisiana Association of Realtors, and has earned the SIOR designation as an industrial specialist. To contact Archer, call 318-222-2244 or email him at gfrierson@vintagerealty.com.